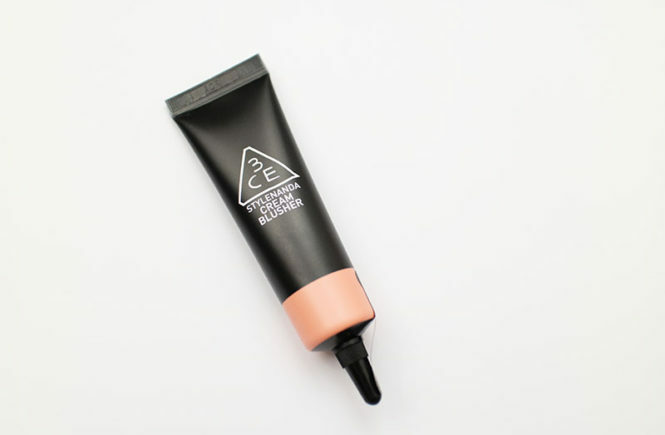 Review: Bubble Bubble Lip Mask (Rire) – Oh My Stellar! I use matte lip sticks and lip stains a lot, so it makes sense that my lips are pretty dry a lot of the time. To counteract that, I use the Laneige Lip Sleeping Mask almost every night (which I previously reviewed for BB Cosmetic) but I have also been after a quick, daily treatment that I could use in the mornings if I forget my lip mask the night before. And into the picture comes Rire! If you’ve been reading then you’ll know that I have a bit of a hit or miss relationship with their brand – some of their products have been interesting but, overall, most of them haven’t really impressed me. In general, they seem to have very innovative and different product concepts, but often fall a bit flat when it comes to the effectiveness of their formulas. For that reason, I admit that I went into this review fairly hesitant. 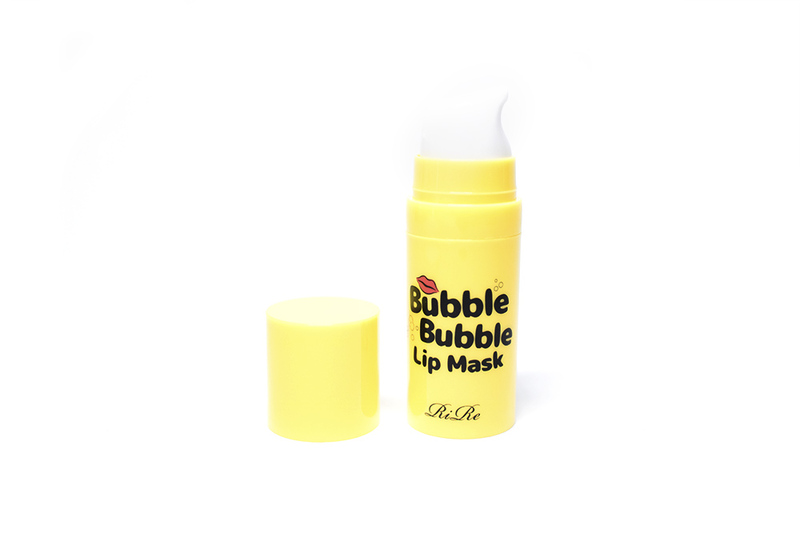 However, after trying out this Bubble Bubble Lip Mask, I think that have finally found a Rire product that I actually – kind of – like! Well, let’s jump into it! 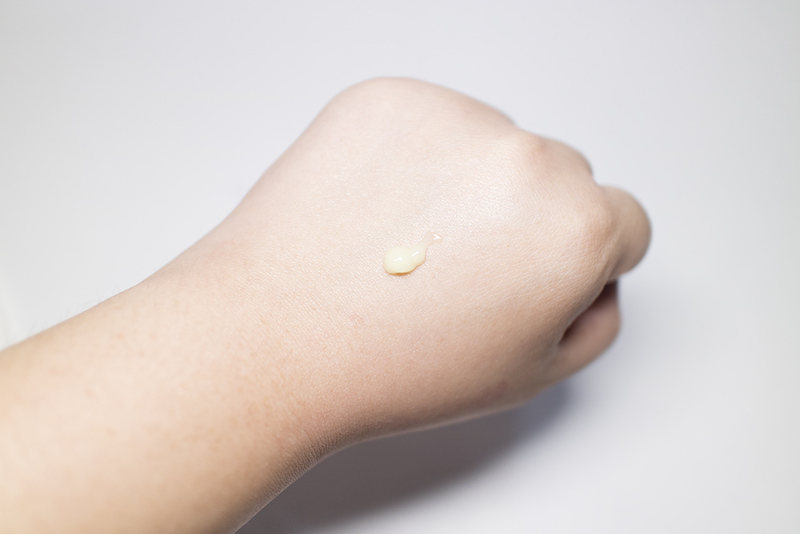 The product comes in a 12mL pump bottle, which is really easy to dispense and use. It feels a bit cheap, to be honest, and the design of the packaging isn’t really to my style so… it isn’t my favourite in that sense. Moving on to the actual product, this is a bubble scrub for your lips and it helps to remove dead skin. It also has lemon extracts to care for your lips though, aside from smelling really nice, I’m not sure what benefit that has for me. The product is really easy and quick to use, so it can be used in the mornings even when you’re short of time. 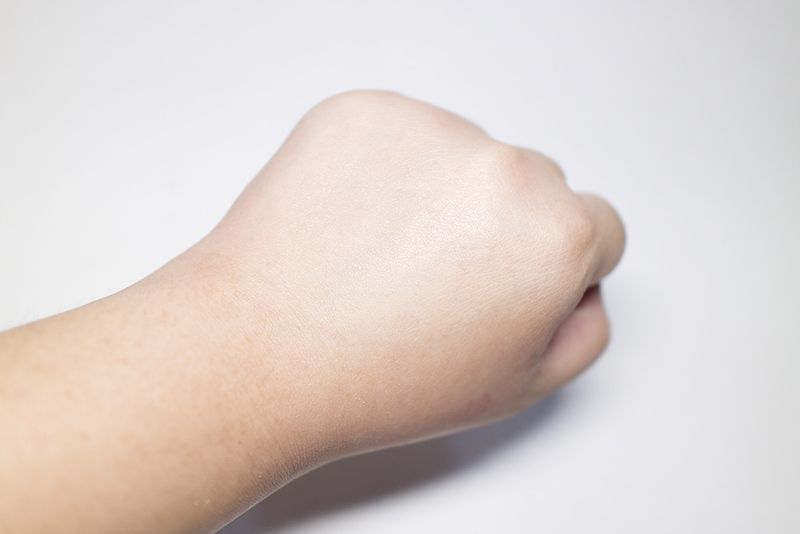 It only takes around 2-3 minutes, depending on how long you want to rub it in for, and you also don’t necessarily need to wash it off after – a tissue is enough and it doesn’t leave any residue. 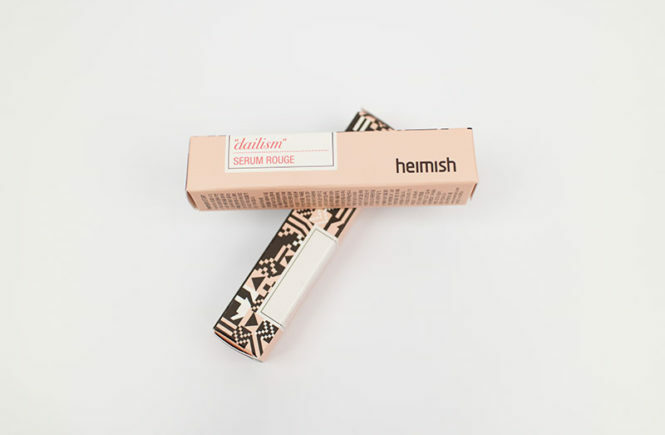 When I use this product, I use around two pumps and I end up applying it over my lip lines already. Of course, this also depends on how much of it you want to apply but, in general, I’m not sure if this bottle would last me a long time if this is intended to be used as a daily treatment. Above is how the product applies at first – that’s around a single pump of it. It has a really fresh lemon scent that I absolutely love (and will probably encourage me to use it more often) and it starts off looking a bit like a gel. 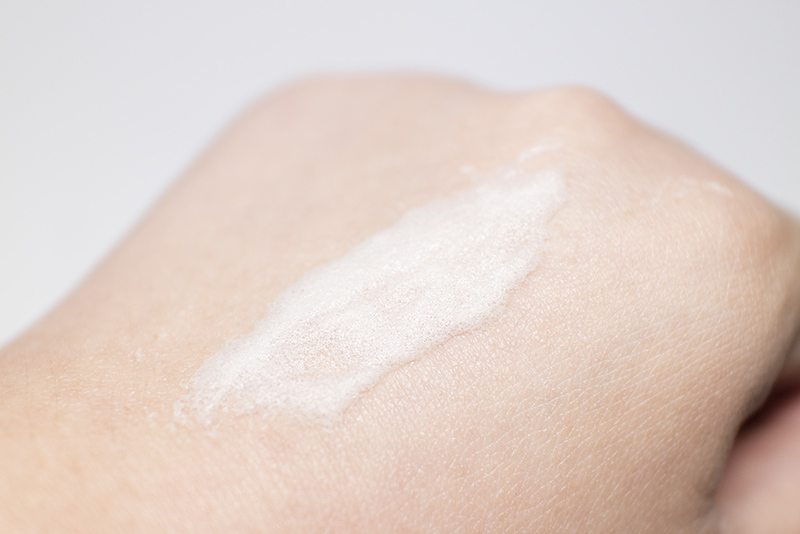 I recommend putting it on the back of your hand first and then applying it to your lips. 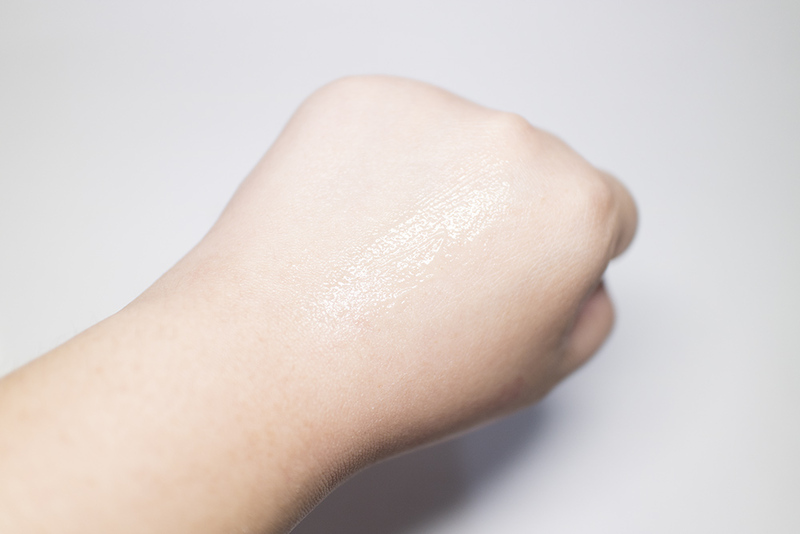 However, the product starts to bubble up fairly quickly so make sure that you’re quick with application. An even application with most of the product focused around the centre of your lips is probably best but I also like to apply some of the extra outside of my lip line too since my skin also tends to flake and get a bit dry. Once you have it on, don’t talk (or you risk eating it all). The directions say to wait 2-3 minutes for the bubbles to come up but, in my experience, I had a really decent amount of bubbling within the first minute. You can definitely feel it tingling slightly on your lips but it doesn’t feel uncomfortable – if anything, it’s just a bit amusing. It bubbled up more than I thought it would but, since I don’t apply a lot of it, I don’t get as much foaming as the example photos. Once it’s all bubbling on your lips, you can just rub it in to start ‘removing’ the skin. 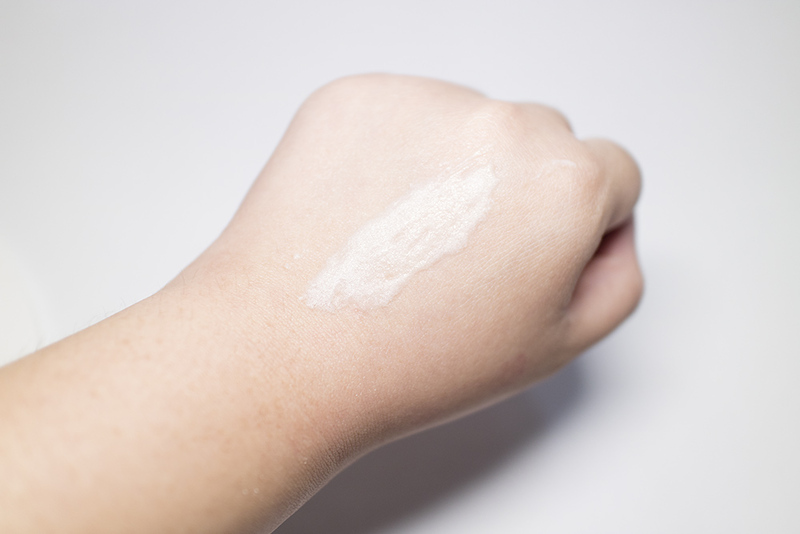 The formula feels a little bit dry when you’re rubbing it, more than I would expect, but the entire process is really easy and mess free. The residue can be easily wiped off with a tissue and no water is needed (but you can use it if you want). I find that my lips feel really soft and clean afterwards, with no strange taste left. However, strangely enough, my lips feel a little bit tight and dry afterwards – if that makes sense – so I still recommend using a balm afterwards to hydrate. Overall, this product definitely delivers what it promises. It isn’t perfect but, still, it’s better than I originally thought it would be. 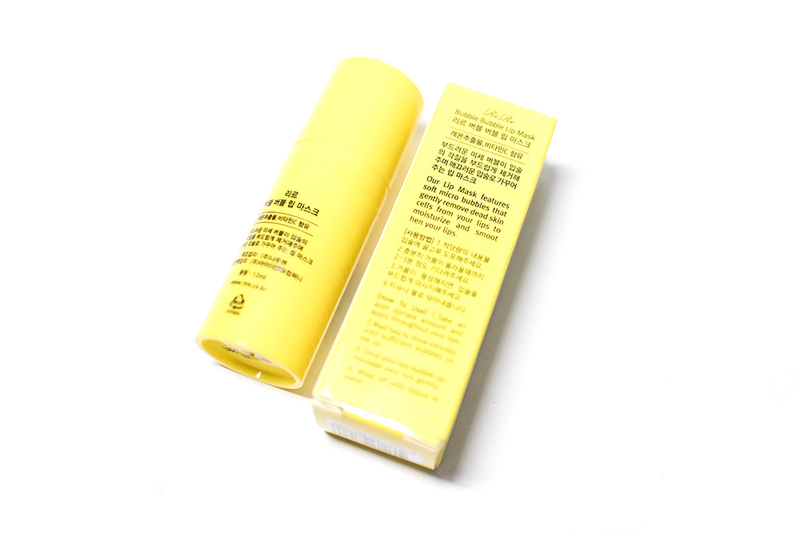 It smells really great and is effective in removing dead skin on the lips – the best part is that it’s also very quick and mess free to use. 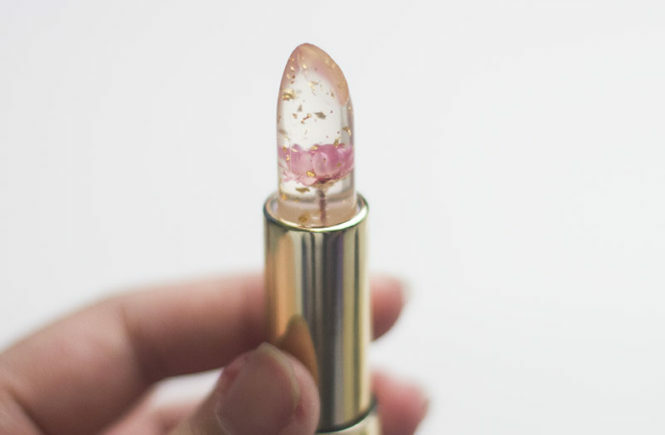 I think that this would be really handy for me to keep on my vanity for mornings when I need that extra step (or when I forget my lip mask at night) but I don’t think that this will be a daily essential for me. Of course, this will be dependent on your own routines. The downside of the product is definitely in their packaging; Rire would really benefit from stepping up their game in that sense. The pricing is also a bit more than I would expect to pay for their brand (especially when they have a lip scrub/remover for under USD$5) and I think that they would have more in the product – however, it also isn’t too bad either. I would give them an average rating for pricing. 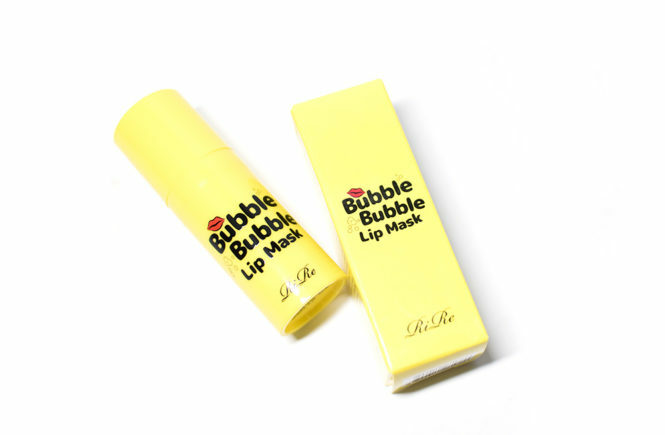 For someone who has a fast lifestyle and wants something that would be effective on the go, then I do think that the Rire Bubble Bubble Lip Mask is worth trying out. If you’re interested in bubble masks or just a lip scrub, I think it would be good to consider this too – it isn’t too expensive that it would be hard to give it a try. So far, it’s a mask that I enjoy and I’ll definitely keep using it but I’m not sure if I’ll repurchase it yet rather than keep looking for something better?